At Roulston's Pharmacy, dispensing and medication administration accuracy are prioritized. 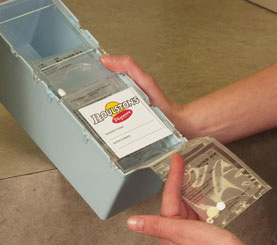 Easy Pac is a multi-dose package to facilitate medication administration. "dispensing and medication administration accuracy are prioritized." This system offers an alternative to Easy Pac, suitable for use in a retirement home. "An alternative to Easy Pac."